We talk about fear of failure all the time in startup world. The trauma of failure, the stigma, the set-backs. Sometimes the discussion turns to the power of failure. Fail fast, fail often. You can’t fail if you learn from your mistakes. We celebrate failure at “ F@*^Up Nights” events. Failure seems to be the concept that grabs attention. But what if the idea of fear is more powerful? Fear alerts us to danger, maybe keeping us safe or maybe immobilizing us. Fear is the anxiety we feel about risk and the unknown. “The only thing we have to fear is fear itself” as President Franklin D. Roosevelt famously said in 1932 during one of the darkest periods in history. We know we should face our fears but it’s just scary. What if we turn “fear of failure” upside down and focus on the “courage of success” instead. What would you do if you weren’t afraid? Be brave. Antonyms of fear describe the traits of superheroes – fortitude, confidence, daring, audacity, guts – and they inspire calm and serenity mixed with resolve and the much-lauded grit. I just saw this article in Inc. magazine, by Amy Morin, proving the point. According to the study, “The Batman Effect: Improving Perseverance in Young Children,” children who pretend to be their favorite superheroes when working on a difficult task will try harder and longer and will build more confidence in the process. We’ve all seen the trials, tribulations and epic defeats of our favorite characters. They inspire us when they get up and try again. 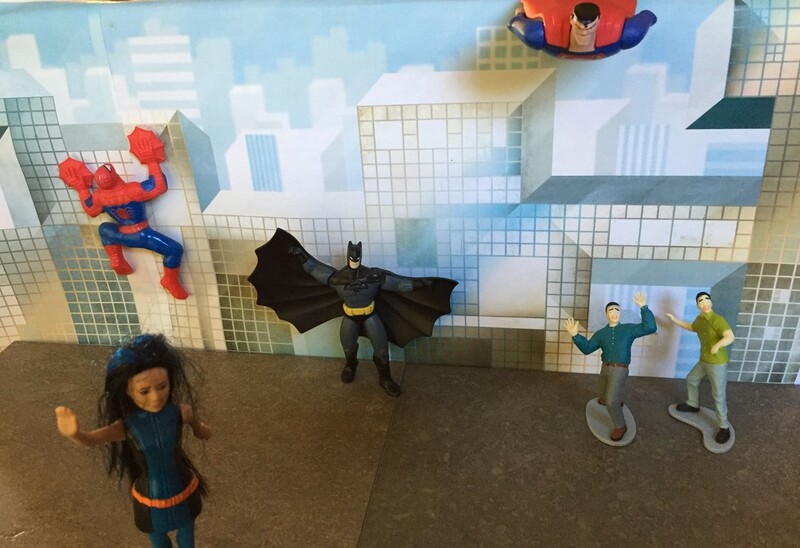 Batman, Black Panther and Wonder Woman conquer their fears. Nothing is easy for this crew but they carry on. If it works for children and Spiderman, it will work for us too, for entrepreneurs and people striving to achieve their dreams in life and business. We just need to put on our superhero uniform, imagine the prize, muster our courage and keep trying, taking the next step, one at a time.